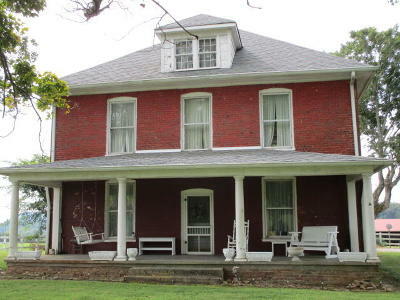 All brick 1899 Federal house on 72 acres on French Broad River. Almost 5,000 ft of river and creek frontage. Great fishing and hunting here. The fertile bottom land is in grass for pasture or hay.Views of Great Smokey Mountains. Make plans to see this once in a lifetime offering.